Once upon a time, a man could get by with a little bit of confidence and fortitude to throw out a string of words with such a panache that these words sounded like sparkling notes of John Phillip Sousa and his famed marching band stomping through through town with such enthusiasm that each foot found an instinctive talent to stomp out a mystical synchronous beat. I admire that skill. In fact, when I need an inspiration or two, I am always comforted by the words of another wanderer named Mark Twain. Yet as I approached Deep Cove, my internal dialog was blatting odd flat notes and was as loud and cacophonous as the classroom I had just exited. Between my ears, which were blocked by some moneran mischief, there were a variety of mental landmasses that I was attempting to navigate around. Yes, there were my usual concerns about how to find the finances to even dream about affording a scuba diving voyage to Thailand. Given the fact that my own vocation was now paying me so well that I was now teaching summer school, I decided to put dreaming on the back burner and busied my self with getting ready to paddle. Today, however; up front and in the middle of my mental landscape was the towering structure known as my own meditations on the nature of love. I am thankful and have been lucky enough to state that I have been truly in love more than one time. I can even take a few more steps in the right direction and proclaim or confess that I now know what unconditional love is. Yes, I am not afraid to admit that I have also made some bone head mistakes and that being said, being single has it’s odd rough edges that sometimes need to be smoothed out. I have grown tired of the media referring to relationships as “complicated”. Complicated is trying to figure out a calculus equation to express how to successfully land a modular five billion dollar vessel on Mars. When it comes to matters of the heart, one of my go to options is to look outside of my own thoughts, read or listen to some else’s advice or take the time to see what nature can offer or if I am truly numbed and nonfunctional, I put another cassette in “Ataboy’s ” tape player. So it did not surprise me, that as I watched a soggy mutt climb onboard a paddle board, that ol river rambler and nautical wheeler advice may be setting the tone for my evening paddle. Twain said that “it is not the size of the dog in a fight, it is the fight inside the dog” and judging by the calm and cool headedness of this fearless canine, I was seeing a lesson unfold. I have no idea why dogs trust humans as much as they do. Perhaps it is the fate of a brain that just doesn’t think too much about the how and whys in life. There is just an unconditional love. I could only imagine what my fellow mutt was thinking: “Yes, I will stand on this wobbly surface as you navigate through waves”, “Yes, I will stare down into the water and wonder what these large round things are”. “Yes, I will go without fear and with my nails sliding on this frickin rubber surface and I will have faith in a blind trust, that you, my humble owner, will take care of me and provide some water (which is fresh) and food after you amuse your self with this ordeal that you are putting me through”. Fueled by a fertile imaginaton, I have come to appreciate what an amazing organ the human brain is. Between million of neurons and a multitude of tissue folds, the human brain can fabricate not only solutions to algebra equations, it can also remember inane quotes from Seinfeld while thinking about what is for dinner and who needs to be dropped off at what house. It can fabricate and solve critical thinking problems. It can remember odd quotable phrases and scheme up realities that now have been dubbed “complicated”. Take a flat piece of paper and crumple it up into a small ball and you have an image of a brain. A brain is much like a map that is almost impossible to fold up into a nice a tidy package, simply because it has way too many folds. Dogs, on the other hand, have a simpler brain with less folds. Navigating in their brains is probably like reading the important cue card in the back of an airplane seat. There are less folds and some times, if you are open minded, you begin to see a way of dealing with the daily on a sublime but rewarding point of view. In a case of emergency, please go to the nearest exit. If there is a lack of oxygen, a mask will fall out of space and hit you in the head. Please put the mask over a child or dog seating next to you prior to putting it on your face. So as I was launching my board and began to notice the large volume of flotsam in the water, I had to marvel at my canine comrades stoic wisdom to not to leave the safety of the board and indulge in an improptu game of fetch. Follow the pups lead, I slowly let go of the urges to follow the path of another spark of thoughts. Thankfully, the water was calm and the evening was unfolding in a most pleasant of ways. It was time to let go of mental muddles and find some sense of balance on Clarrity. Now as I have stated before, I have the good fortune to spend time with a bunch of women who are both open to life’s challenges and are perhaps as fearless as mutt I was now watching. Mark Twain waxed poetically about fear and courage by saying “Courage is resistance to fear, mastery of fear, not absence of fear.”. As we launched out into the falling tide it became apparent that a few feet beneath our boards, a population of marine invertebrates were stimulating both an intriguing and unsettling affect. As the warmth of the ocean was happily increasing the population of plankton and fish, hungry travelers on the tides were now growing in size and numbers. Around me there were whoops like “ wow, look at the size of that one” and “ we should go to the aquarium and learn about these animals”. There was also that child like mischievious sparkle in some of the groups eyes, seeing who was rattled by the humble jellyfish. Given that my professional status as an educator implies some wisdom about the biology, I decided to follow Mr Twains advice and just kept my mouth shut. It was time to paddle, flex those knees and thighs, wobble through the waves, keep an eye on the circling ski boat and make sure that my communing with nature did not include getting slimmed by a Cnidarian. I noticed that one of our pod was showing more caution. While many of us adapted to the odd sets of waves, my four legged friend was sharing it’s style and elan with one of our pod. Face it, four limbs are a helluva lot more stable than two and jelly fish, well fear or no fear, it is a know fact that some species have tentacles that can pack a mighty punch. Dangerous or not, all feet, canine and human, remained on deck and away from population below us. Then, as we stopped for a break, there was a miss timed fall into the water and a very rapid return with a great deal of laughter. The jelly fish, who are not even fish, were not disturbed nor concerned by being flattened by a human. Though they can move muscles, the actual process of coordinating that movement is a natural neurology event without a brain. Reflecting upon the lack of cerebral fortitude, Mark..heh I can be informal..might have been inspired to “remark” (bad pun..) “ It is just like man’s vanity and impertinence to call an animal dumb because it is dumb to his dull perceptions. So it was that we took in the fading day with a quiet sense of happiness until an alert Mom noticed the time. Now, all sitting on our boards, feet dangling in the moving tide, we were oblivious to the actual realities on the planet where folks have solid reasons to ponder what a swarm of venoumous jellies can do.. Yes, it is true, if you let a little fear sneak into the ol noggin, the voyage can become more than just a gentle saunter in the park. Yet just like horses rounding the last corner, there was now that eager enthusiasm to return to Deep Cove. Prior to that though, there was a detour to a nearby bridge to marvel at a pool of small fish. The ebbing tide was now helping to make the return trip faster. I help but notice that fatigue and perhaps fear was still challenging one of our flock. So I decided to hang back and travel with our cautious cohort. My rational was quite simple and inspired by sublime truisms of Mr Twain. “ Kindness is the language which the deaf can hear and the blind can see. The best way to cheer yourself up is to try to cheer somebody else up. This seemed good advice since my ears were still clogged and I was still testing my skill to converse and stay upright at the same time. While my paddling partner adjusted from being on all fours to standing up, I quietly listened to her tale of the past few years. It had not been a simple nor easy passage of time. We swapped stories about how life evolves as you get older. We laughed and respected the notion that her 75 year old dad just married a woman who was thirteen years younger. Twain said Age is an issue of mind over matter. If you don’t mind, it doesn’t matter. He also remarked that. “‘Wrinkles should merely indicate where the smiles have been.’ With each paddle stroke, the conversation continued. While the tide was now against us, each tale told and each paddle stroke provided more confidence as the shore became visible. Beneath the surface, the jellyfish were no longer present. In her voice I sensed a change too. She began to share an upbeat agenda of some of her new intents for this year. “ Grief can take care if itself, but to get the full value of a joy you must have somebody to divide it with”. While I changed course and paddle from side to the other side to see which ear was working best, I attempted to listen about her desires to now take on more challenges. In her voice, I could hear how the fear was now losing the battle as I detoured, for just a second, to playfully bounce through some stray outbound waves.By the time we reached the harbour, the sun was almost setting and the tidal shoreline was now starting to reveal itself. My four legged friend, the soggy pup, was now happy on land and the dock side operations were now coming to a close as a kayaker showed off some freshly caught crabs. Having pushed my body a little bit harder, my foot now decided it had done enough and feigned the affect of being asleep as I attempted to step ashore. The internal dialog within my own head was now a quiet hush. Instead there was the peaceful rhythm of the ebbing tide smoothing off pebbles on the shore. My invertebrate friends, the jellies, were now heading out into the straights. I was fortunate enough to have a some free jars of “sore no more” to pass out to a tired instructor and to members of my Monday night crew. I paused and took in the view. I sent off a text to my bud ,“Vanilla girl”, and included a calm photo of the cove. I thanked her for inspiring me to “keep paddling”. I hummed a few bars of “Mental Floss” and rolled up Clarrity into her case. Yes it is nice to get a little mental floss. Well as the story goes, it is now a day later. After sharing my paddling thoughts with my innocent and captive students, I gave some free samples of “sore no more” to folks at the Vancouver Folks festival office. I picked up a new cap at MEC and made sure my business cards have now been updated with the “sore no more” logo. Inspired, I let Mark Twain’s words flow through my neurons like gentle contractions of the jellyfish. While my reading of his quotes followed neither obvious pattern nor intent, a string of quotes seemed to surface. Calm and peaceful like, they came together and flowed together like the smooth and efficient modulated medusian contractions. So my mental landscape changes form once again. Like my past and present endeavours, I too have cast off the lines of mental fears and now sail away from the comfortable shores of habitual patterns. 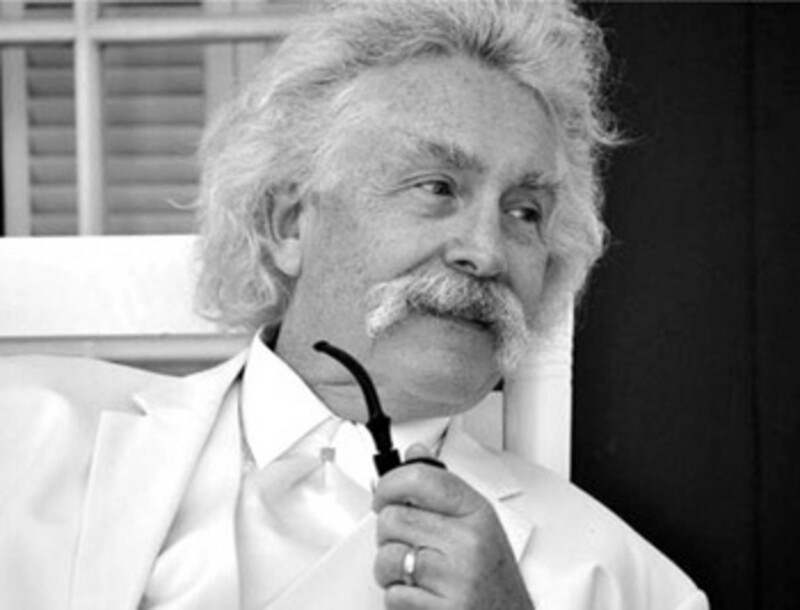 Yes, Mr Twain, after all these years I am still listening to you. “To succeed in life, you need two things: ignorance and confidence”. So I ignore the doubts and fears and have the confidence to do those things that folks seem to tell me that I cannot do. Clarrity keeps me honest and aware of the some simple facts. “What a wee little part of a person’s life are his acts and his words! His real life is led in his head, and is known to none but himself”. So that about does er..Just another yarn about another day of paddling. Yup,a few stray words surface to share what is going on between my clogged inner ears. I smile and see Mr Twain grinning back at me from the screen. He reminds me why I take the time to weave these word and thoughts together and share them with you..
“Give every day the chance to become the most beautiful day of your life.’.